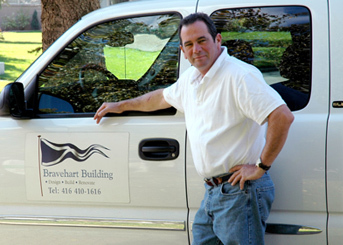 The Bravehart team brings old-fashioned values to your project. We treat your home as though it is our own. We pride ourselves in working via respectful and attentive relationships with our clients to provide quality renovations, completed on time and on budget with minimal disruption to our clients' lives. Our team of skilled professionals covers all steps in the process in an organized, iterative and controlled way; ensuring your budget is managed 'to the penny', from Planning on Day One. A great experience for our Clients starts with our holistic team approach; solid planning and budget control at the outset of a project, great communication daily during the project, the ability to handle changes in progress and customizations with ease and with clear reporting structures. At Bravehart Building, we deploy experts in each required category, who interact as a team around your project requirement. We run your project like a business - ensuring you are delivered the best value for your dollar, in a clear, iterative manner. We deploy unique methodologies for gathering data and disseminating information so the Client is able to make timely decisions and literally 'watch' their job grow - even from a distance.